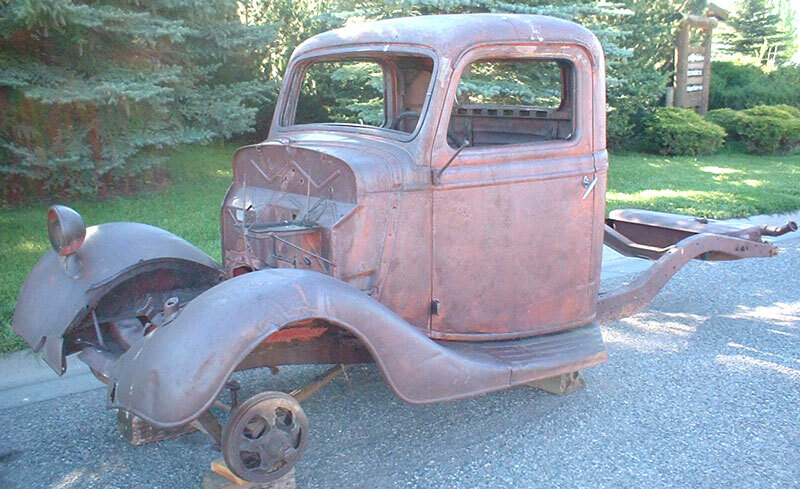 This 1935 Ford Model V-8 50 Model 830 pickup body and chassis is a very straight, solid project truck ready to be restored or customized. 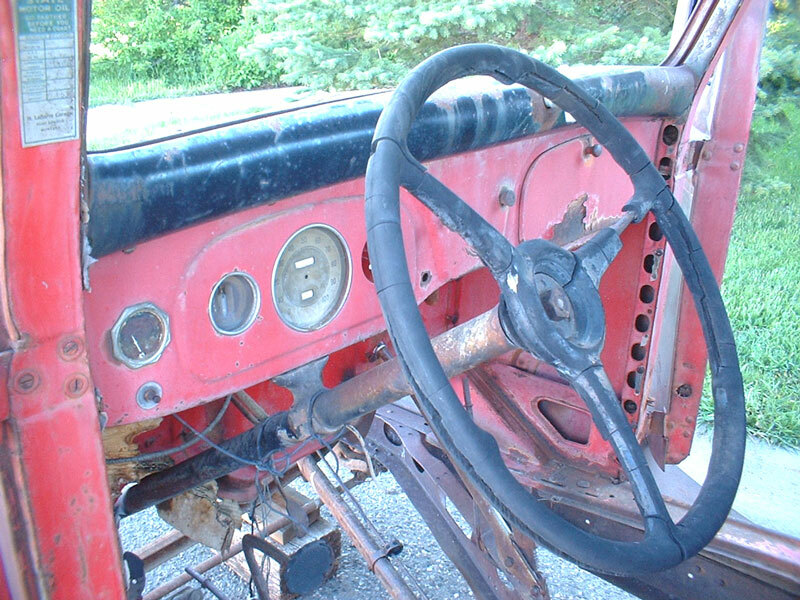 The chassis, cab, doors and fenders are solid. There are some small dents in the fenders. The left fender has some welded cracks. There is a small dent in the right back of the cab. The back of the right headlight housing is dented. The left headlight housing is missing. The seat base and floor are solid. The floor pans are solid and straight. The windshield trim is good. There is no motor, transmission, rear axle, box, grill or hood. 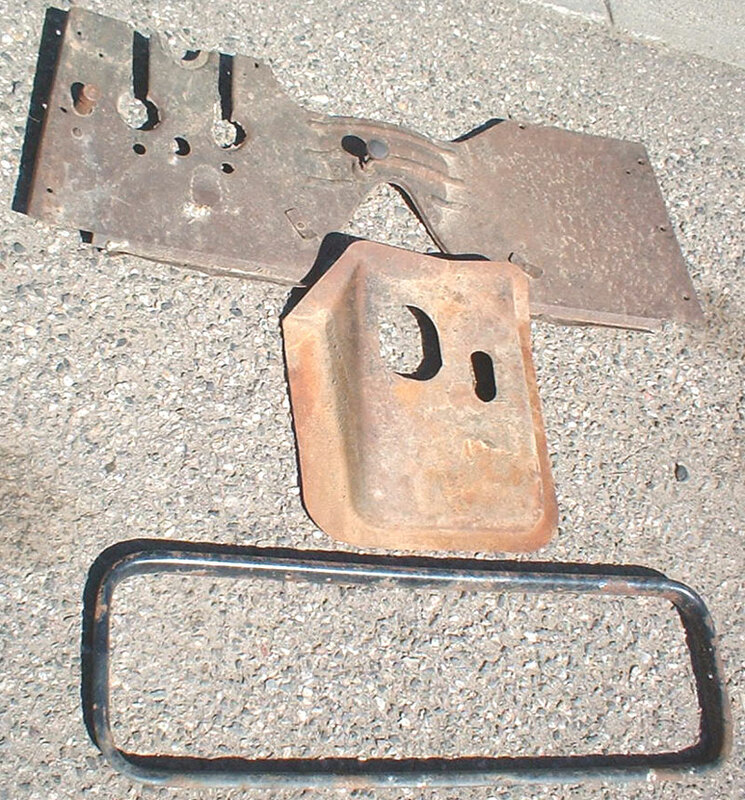 For someone ready to build a 35 Ford pickup, you can't find good solid sheet metal like this truck. 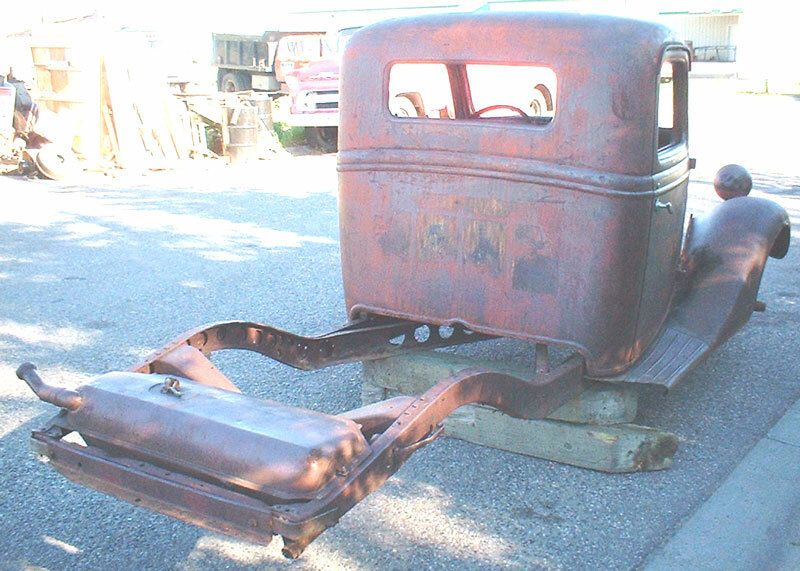 Please call (406) 318-0270 for details about this 35 Ford pickup. For sale $3,000.